Many drivers have vehicles that have logged over 100,000 and even 200,000 miles. Today's cars are better made and last longer than ever. However, in order to keep your vehicle running well, it needs regular maintenance. The service center at Melloy Dodge in Albuquerque, NM, is a great place to have maintenance performed on your Chrysler, Jeep, Dodge, RAM, FIAT or SRT vehicle. Regular maintenance such as having your vehicle's oil and filter changed, tires rotated, battery replaced or having safety work done on brakes or other essential parts will allow you to keep your vehicle longer and avoid emergency repairs that can cost you more money. By having your work done with genuine Mopar parts at the Melloy Dodge Service Center, you'll be guaranteed first rate service with factory-trained technicians. We also keep complete computerized records of all work done so you'll have a complete service history of your vehicle. One of the most important aspects of maintenance is changing your vehicle's fluids. You already know the importance of regular oil and filter changes, but your vehicle has a number of other systems where the fluids must be flushed and replaced according to the manufacturer's service schedule. 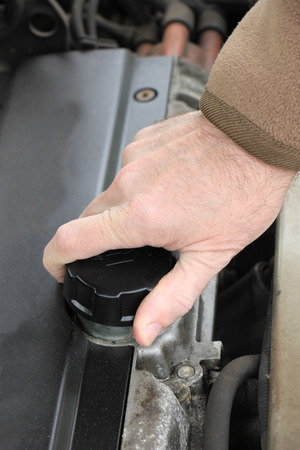 Your vehicle's cooling system is one area that needs periodic attention. It should be flushed once a year and be filled with an appropriate replacement to prevent corrosion and buildup inside the system. Transmission and differential oils need changing according to service recommendations. Our technicians at Melloy Dodge will also recommend lubrication of bearings and other vehicle parts when needed. Call us today and let us service your vehicle to keep it in top shape.